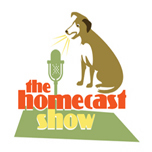 The Homecast Show is the weekly radio program that�s "Your Guide to Changing Times." Creator-Producer-Host Danny Lemos, Co-Hosts Liz Fulton, Jeff Kaufman and Tom Murphy, and a family of contributors have the information, innovation and inspiration you need in this period of economic crisis, technological revolution and social and generational shift. The one-hour show specializes in useable, real-world information; features and interviews; and the real-life stories of people who have reinvented themselves. There are more resources on HomecastShow.com, along with links to a wide variety of people and organizations. Danny, Liz,Jeff and Tom have known each other forever�that means they can say anything to each other. The Show is honest�that means they can say anything to you. The laughter is contagious�that means you�ve discovered Public Affairs for the Twenty-First Century. the homecast show is from Danny Lemos Creative. “Sittin In” is a one hour jazz music and interview show featuring artists that range from the greatest names in jazz to the best of the “up and comers”! Each week, host Helen Borgers invites a different jazz artist to “sit In” on her nationally syndicated public radio show. WIth a 30 year tenure in jazz radio, Helen and most of the musicians and artists who visit are on a first name basis. 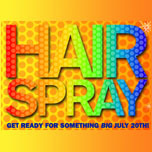 19 years after the release of the original film by John Waters, New Line Cinema released a feature film adaptation of the Tony-award winning Broadway production of "Hairspray" to the big screen. In preparation for the movie's release, podcasts for movie were written and produced by Danny Lemos for Lemoskin Productions, starring Ben Sullivan as D.J. Bobby D.J., and edited by Paul Liebeskind. Vicki Johnson is the 'Dear Abby' of the Armed Forces. The Los Angeles Times calls her 'Ann Landers for the warrior set and the kin left behind'. 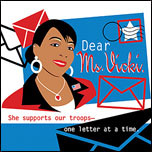 A proud military spouse of over twenty years, mother of three boys and a clinical social worker with a Masters of Science in social work from the University of Louisville, Vicki began answering letters from military personnel and their loved and unloved ones in her advice column, 'Dear Ms. Vicki', which debuted July 2005, in Fort Campbell Courier. The paper originates from the home base of the 101st Airborne Division in Ft. Campbell, Kentucky. Ms. Vicki's instinctive mix of candor and compassion has been profiled on NBC Nightly News, CNN, the Los Angeles Times, and dozen of radio morning shows. Her two-minute feature for radio is available now! 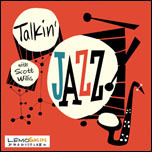 Talkin' Jazz is a two-minute jazz feature that includes music, narrative segments, and recorded interviews. Listen each day for a little taste of jazz history, stories about compositions or recording sessions, and anecdotes from the artists themselves. The programs detail the influences and origins of some of jazz music's legendary musicians and performances, and show us why jazz music is relevant today. Talkin' Jazz is hosted by Jazz D.J. Scott Willis and is produced for broadcast by Kellen Yamanaka through an agreement with Danny Lemos Creative. The shows are engineered and produced by Paul Liebeskind. "Talkin' Jazz" is available for free to public radio stations, in support of America's only indigenous art form! 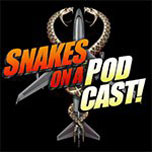 Lemoskin Productions participated in the most-anticipated if not most-publicized motion picture release of 2006, New Line Cinema's "Snakes On A Plane". For the first time, the internet played a big part in the pre-release buzz, with bloggers and fans influencing rewrites and even creating custom publicity for the movie. Mark Elliot produced and hosted a series of podcasts for New Line Cinema featuring the movie's stars and principal players. The Best Of and The Worst Of the Week in Talk Radio! A weekly roundup of radio's most outrageous takes and out-takes from the past week. Nothing gets past the ears of Talk Radio Gumbowhere the news is made fresh daily. All we have to do is listen. 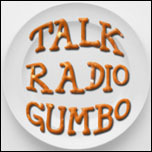 Talk Radio Gumbo is served up chunky and hot each weekend, selected from the talk radio waves around the world, prepared by our staff and simmered by the comic minds of our stringers around the globe. 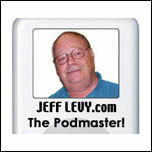 Jeff Levy hosts a weekly "How To" Podcast available each week via iTunes. Just download and sit in front of your computer for a high-tech"podtorial" lesson. Listen and learn as you go! Hosted by "The Podmaster" Jeff Levy, Host of CBS Radio/KNX 1070 Los Angeles "Computer News". ALSO AVAILABLE NOW: "Your Computer Guy" - 2 hr. talk radio format! 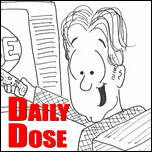 The Daily Dose is a daily one-minute recap of last night's most popular reality shows featuring highlights and twisted commentary from your host, Mark Elliot. Think of it as the SportsCenter of reality television, telling you everything that happened last night. ALSO AVAILABLE: "The Dose! "� a 1-hr, recap of the "Daily Dose" week. America�s first political news game show is ready for talk radio! It�s a long established fact: Nobody can tune out of a phone call. And who doesn�t love proving they�re better than the best when it comes to trivia? Put them both together for a powerful programming punch that delivers four quarter hours of cumenot to mention increased TSL! Contestantsreal callersput their wits to the test and compete against other callers for terrific prizes�high-tech gear, electronics, extreme vacations, cars� which they can trade back as collateral, one by one, to keep in the game! 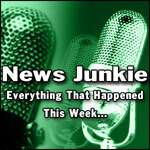 Listen and see if YOU just might be a News Junkies! 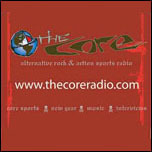 The Core is the first weekly Action Sports and Alternative Rock podcast in the world! The Core brings you the hottest action sports athletes and the music they live by. Stay on top of the trends as they're happening and in the loop with the Core Action Sports Calendar. Hosted by Pamela Zoolalian and The Moleman! ALSO AVAILABLE NOW: 2-hour Alternative Rock format version for syndication!